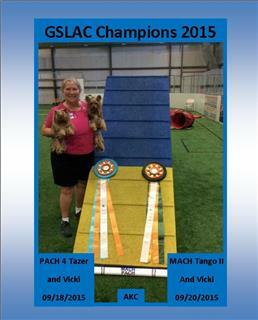 On Sunday, September 20, 2015 Tazer & Tango II earned a PACH 4 & MACH title in AKC. Here is Tazer & Tango II with Vicki. 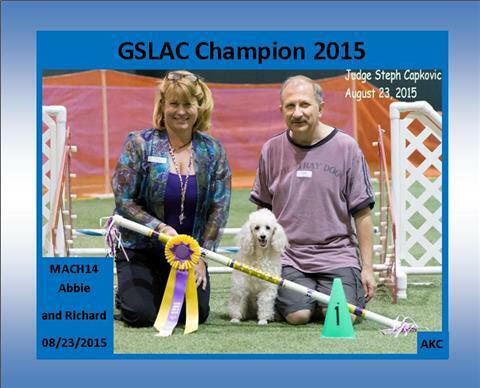 On Sunday, August 23, 2015 Abbie earned a PACH title in AKC. Here is Abbie with Richard. "Stay close to your loved one in times of distress."